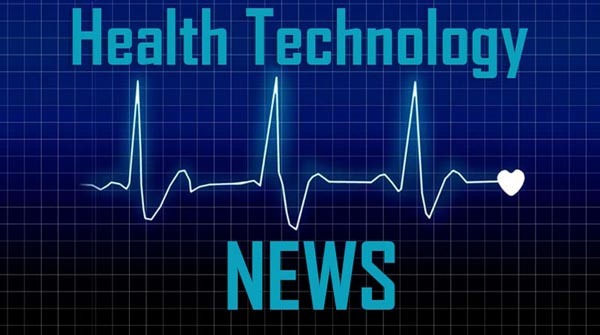 ANAHEIM HILLS, CA / ACCESSWIRE / March 25, 2019 / Heads Up Checkup, Inc., an emerging SAAS provider of mental health and behavioral risk screening systems, today announced that it will be presenting at the 146th NIBA Investment Conference being held on March 25-26, 2019 at Crown Plaza Times Square in New York City. Martin Eaton, Founder and CEO, will be presenting, as well as meeting with investment professionals. About Heads Up Checkup, Inc. Heads Up Checkup, Inc. is a SaaS provider of web-based and mobile solutions for universal mental health and behavioral risk screening. The company has developed a proactive solution for school and workplace safety to address a $1billion+ market opportunity. The screening system is designed to accelerate the identification of individuals in crisis and shorten the time to treatment – before acts of self-harm or violence occur. Frequent and widespread use in schools, healthcare, and the workplace would have an unprecedented positive impact on our society, fiscally and socially. Heads Up Checkup is the only mental health and behavioral risk screening system on the market that is cloud-based, comprehensive, self-scoring and reporting, offers de-identified aggregated data to inform mental health trends, and connects user to support resources in real time. Heads Up Checkup’s addressable market consists of: schools concerned with safety, consistent student attendance, and student success, businesses concerned with safety and productivity, healthcare and health insurance companies concerned about the rising costs of treating mental ill health as well as the negative effects of mental illness on physical health, nonprofit organizations serving the mentally ill concerned about fast and cost-effective screening. For more information, please visit the website at www.headsupcheckup.com. This press release may contain forward-looking statements, including information about management’s view of Heads Up Check Up, Inc. (”the Company”), future expectations, plans and prospects. In particular, when used in the preceding discussion, the words ”believes,” ”expects,” ”intends,” ”plans,” ”anticipates,” or ”may,” and similar conditional expressions are intended to identify forward-looking statements. Any statements made in this presentation other than those of historical fact, about an action, event or development, are forward-looking statements. These statements involve known and unknown risks, uncertainties and other factors, which may cause the results of the Company, its subsidiaries and concepts to be materially different than those expressed or implied in such statements. Unknown or unpredictable factors also could have material adverse effects on the Company’s future results. The forward-looking statements included in this presentation are made only as of the date hereof. The Company cannot guarantee future results, levels of activity, performance or achievements. Accordingly, you should not place undue reliance on these forward-looking statements. Finally, the Company undertakes no obligation to update these statements after the date of this release, except as required by law, and also takes no obligation to update or correct information prepared by third parties that are not paid for by Heads Up Check Up, Inc. SOURCE: Heads Up Checkup, Inc.